Always fancied A PlayStation VR unit, but figured that the price was a bit more than you were willing to pay? Seems like that this is a recurring theme when it comes to the PSVR. One that Sony is very aware of and has decided to do something about it. So, what exactly are they doing to do? Well, they’re slashing the price of getting invested with the PSVR. Definitely a smart move on Sony’s part. Especially since the temporary price drop during the 2017 shopping holiday ended selling a huge number of units. Some stores were sold out for weeks due to this. Starting as of March 29th (tomorrow), you’ll be able to score a PlayStation for much cheaper. The basic PlayStation VR bundle will drop to $299.99 and will a headset, PlayStation camera, and the VR Worlds demo disc. The DOOM VFR Bundle will also be priced at $299.99 and includes everything that the basic bundle does, plus a copy of DOOM. While the best deal comes in the form of the Skyrim VR Bundle. 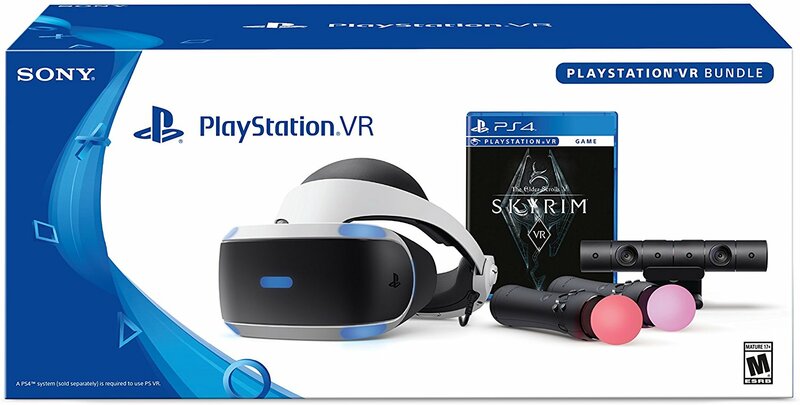 This includes everything in the basic bundle, a copy of Skyrim VR and two PlayStation Move controllers, for just $349.99. Looks like I’ll be on the hunt for one. Maybe now I’ll be able to play Gran Turismo Sport in VR.